The M.Sc. in Marketing program was developed by the Edwards School of Business in response to the need for a PhD preparation program. This two year, full-time, research based program focuses on marketing theory, consumer behaviour, and research design. The first year of the program is devoted to coursework, and the second year of the program is devoted to preparing and defending a thesis. Upon completion of the program, graduates will be well prepared for entry into a PhD program and a career in academia, or for a career in marketing. Due to the research intensive nature of the MSc in Marketing program and the need for individual student supervision at the thesis stage, enrolment is currently limited to seven students per year. This course provides an introduction to marketing research at the graduate level. It explores the steps in the research process, from literature review and research question formulation, to data collection and analysis, to paper writing, presenting, and publishing. Methods common to marketing research studies, such as experiments, qualitative interviews, and others are examined. The course provides both theoretical and practical explanations for the choices made when designing marketing research. This course covers the broad topic of marketing theory. 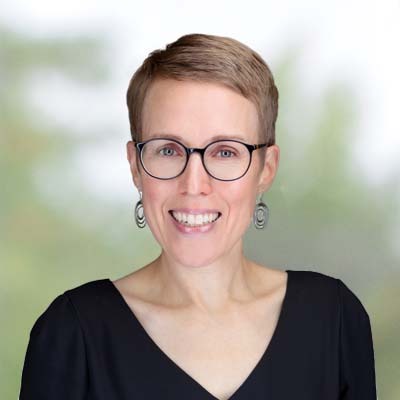 Students will engage in high-level, critical discussion of the theories and models that form the foundation of scholarly work in the field of marketing. This course will offer students an advanced understanding of behavioural theories of judgment and decision making, with emphasis on consumer behaviour. Specifically, the course will provide at the graduate level a collaborative examination of the processes involved in attention, memory, perception, attitude formation, choice, and satisfaction in consumption-related environments. Substantive knowledge and research methods underlying each of these streams of study will be explored. Selected experimental and quasi-experimental designs relevant for research in education and behavioral sciences. Multiple and step-wise regression. Introduction to selected multivariate techniques. The use of the various techniques in actual and simulated data in education and behavioral sciences will be an essential component. Offers the opportunity to learn and practice inquiry processes for conducting qualitative research. Within selected theoretical frameworks, the following techniques will be studied: framing the study, participant observation, interviewing, analytic induction and constant comparison, reporting. A forum in which faculty members, visiting professors, and M.Sc. students will present research papers. All students participate in MKT 990. GSR 960 is an online course that you complete through Course Tools (Blackboard). This is a required course for all first year Graduate Studies students at the U of S. The purpose of this course is to discuss ethical issues that graduate students may face during their time at the University. You will complete modules dealing with integrity and scholarship, graduate student-supervisor relationships, conflict of interest, conflict resolution and intellectual property and credit. This course must be completed in the student’s first term as a graduate student. This course, focused on basic instructional skills, is designed for graduate students with little to no experience in teaching. In this course, the aim is to equip graduate students with the practical teaching skills needed to survive and thrive as instructors and/or teaching assistants in higher education. These courses comprise the basic structure for the fundamental development of your M.Sc. program of study. Between May and August you are expected to work on your thesis (literature review, methodology, collecting data, etc.). Thesis: The Perception of Opinion Leaders in the Medical Field. Thesis: I want to focus on consumer behaviour and how the introduction of digital media has impacted traditional marketing theory. Thesis: Undetermined so far, but I want to focus on Marketing and pop culture. Specifically, marketing of sound and popular music. Thesis: Investigating consumers' responses to exercise-promotion advertisements when the message is sponsored by a source who stands to benefit from the behavior change. Faculty support, Friendly environment & High-quality teaching. Thesis: My research focuses on medical adherence and the factors contributing to adherence rates. 3 words that describe your time at Edwards: Warm, supportive, Knowledgeable. Thesis: : Investigating science communication and community impact. Thesis: I am currently completing the course work requirement of my program and I am looking forward to beginning work on my thesis very soon. A final defense of the thesis. Successful completion of the final defense will require that the research project be completed to the satisfaction of the student's supervisory committee which, in most cases, will consist of the academic supervisor as the chairperson, two other faculty members from within the department, and an external examiner selected from outside the department. You do not have to select a supervisor before you enroll in the MSc Marketing Program at Edwards. Instead, in your first year of study, you will be matched with a supervisor based on your area of interest. All students who are accepted into the MSc program are matched with a supervisor. The deadline to apply for the September 2019 start date is March 31st, 2019. This will be our first round of admissions, and space permitting, we will accept applicants on a rolling basis. So if you are still interested in applying for the MSc in Marketing program, please reach out to our office and we can discuss a timeline for your application for consideration for September 2019. The Edwards MSc in Marketing assesses applicants on a composite basis for admission purposes. We look at a variety of factors when making admission decisions including undergraduate degree, grade point average, research interest, GMAT score, and reference letters. An interview may be required. All documents must be uploaded to your online application. Applicants must have a four-year undergraduate degree in business or a related field from a recognized university. Applicants must have a cumulative weighted average of at least 70% in the last two years of study (i.e. 60 credit units). Unofficial transcripts from all post-secondary institutions that you have attended must be uploaded to your application. Transcripts from the University of Saskatchewan do not need to be uploaded, but are required from all other institutions you have attended. For countries where degree certificates are issued, they must also be uploaded. If accepted, an official transcript of your academic record is to be sent directly from each institution attended. Visit Countries and Qualifications for a listing of countries and the equivalent academic requirements. All applicants wishing to enter the program are required to write a GMAT exam. GMAT (Graduate Management Admission Test) is a standardized test for measuring aptitude to succeed academically in graduate business studies. The minimum accepted GMAT score is 550.This test can be written at major centres throughout the world. For information on test centre locations, the nature of the exam, and scoring procedures, please visit the GMAT website. GMAT scores are valid for five years from the date the test is taken. The Edwards MSc in Marketing requires you to submit 3 confidential letters of recommendation, from professors or others acquainted sufficiently with your training and experience to express an opinion on your ability to undertake graduate training. Two of these must be academic references and one professional. Contact your referees and ask them to provide a reference for you for the Edwards MSc in Marketing program, and obtain an up to date email address. You will then fill out your referee’s complete information on the online application form, and enter their current email address. Once your application is completed, your referee’s will be sent a link where they can fill out an online form for your reference letter. Your letter of intent is a chance to tell the Edwards MSc in Marketing Selection Committee what unique and valuable contributions you can make to the program. Provide a brief description of your business and educational background, and your goals for the future. How will an MSc in Marketing help you achieve your goals? Describe briefly what your research interests are. Discuss why you have decided to apply to the Edwards MSc in Marketing program, and why it is a good fit for you. What specific parts of the Edwards MSc program are you looking forward too? Make sure your letter of intent is unique and specific to the Edwards MSc in Marketing program. 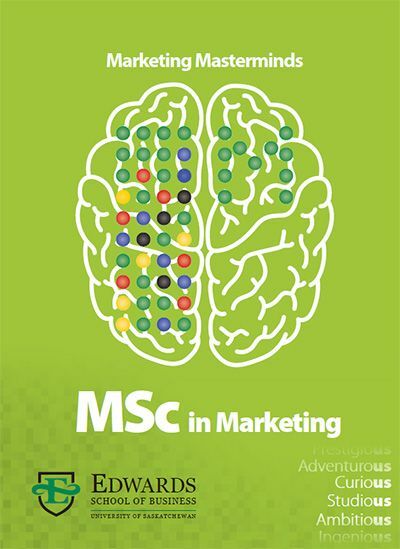 We don't want to read generic letters that sound like they could have been sent to any school; We want to know why you have chosen the Edwards MSc in Marketing, and why we should choose you! Outline your previous work education and work experience (if applicable) so the selection committee can have a good understanding of your background. Proof of English language proficiency may be required for international applicants and for applicants whose first language is not English. All scores must be from one exam date, not to be combined with other exam dates. Tests are valid for 24 months after the testing date and must be valid at the beginning of the student’s first term or registration in the graduate program. *The annual academic calendar for graduate studies consists of 3 terms. **The standard length of the MSc in Marketing program is 2 years, although some students take longer to complete. If a student takes longer than two years to complete, they will be assessed appropriate tuition going forward. Student Fees - All graduate students, including international graduate students, must pay the student fees. These fees are subject to review and revision at any time, and, they are non-refundable after the add/drop deadline for a given term. Current fees are posted on the Money Matters website. For information on how and when to pay graduate fees check the University Course Calendar for Payment of Tuition and Compulsory Fees. Textbooks and Course Materials - Estimates are about $1,350 for the entire program. This does not include the costs of a computer or other electronic equipment. Textbooks are available at book exchanges in the fall, from students advertising on line, or from posted ads on one of the many bulletin boards on campus. You can purchase books online, including second hand books, from the Uof S Bookstore website. There are no planned recruitment events at this time. If you would like more information on our program, please contact us!